Sonata No 45. Sonata No 7. Sonata No 23. Silvius Weiss, a contemporary of JS Bach, has undoubtedly been my composer discovery of the year. A virtuoso lutenist of a high order, he spent most of his career as a court chamber musician at Dresden. But he was much in demand as a composer/ performer and travelled widely in Europe, meeting Corelli and the Scarlattis in Italy, and Quantz and Graun in Prague. In 1739 he was a celebrated guest of Bach in Leipzig, who subsequently arranged his A major Sonata for violin and harpsichord (BWV1025). He is undoubtedly the most important Baroque composer for the lute and wrote hundreds of pieces for his instrument. At the core of his output lie a substantial number of suites, of which 34 have survived in manuscripts held in Dresden and London. Their layout is very much like the keyboard suites and partitas of Bach, usually beginning with a prelude, followed with a group of dance movements: allemande, courante, bourrée, sarabande, minuet and gigue. The music is of remarkably high quality and invariably through composed, so that each movement is inter-related while having an independent thematic existence. The disc spans the range of Weisss career with the early C minor Sonata (No 7) actually dated 1706 by the young composer in pencil on the manuscript; the writing has a youthful precosity. Sonata No 23 in B flat probably dates from around 1720 and is unusual in having a pair each of bourrées, gavottes and minuets, of which the second in each case is rather more demanding of virtuosity than the first. Apart from the stately Sarabande, the Sonata is a light-hearted work, ending with a jaunty Saltarella. The A major Sonata (No 45) is a late work from the 1740s. Instead of a prelude it has an Introduzzione in the form of a French overture which introduces a theme a little like Handels Harmonious Blacksmith. The rest of the Sonata shows the composer at his most ambitious. Canadian-born Robert Barto is in the process of recording all of these Suites for Naxos; the present issue is Volume 6. 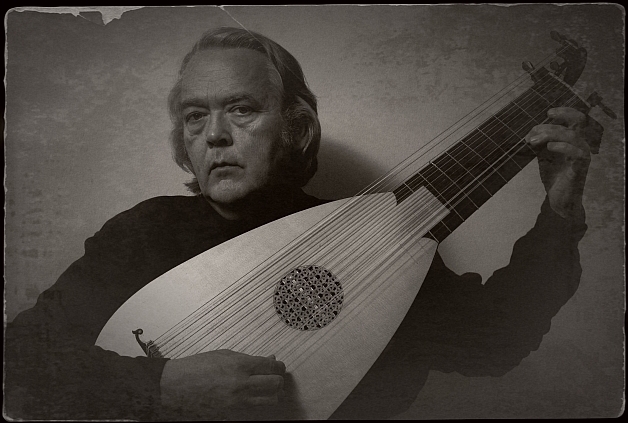 Barto gives first-class performances on a beautifully recorded period lute. With such enjoyable music this is a disc and series well worth exploring, for Weiss is always highly inventive.